Look what’s under my desk! And I don’t even want to hear about how messed up my wires are! 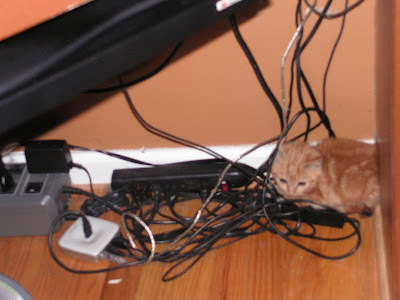 And I wouldn’t DARE comment about the wires, given what it looks like under my own desk!